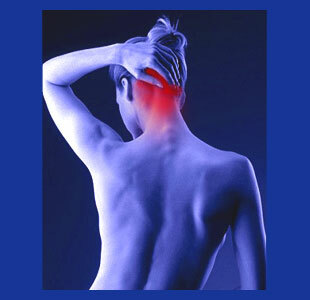 Pain in back of the head is one of the most common patient complaints throughout life. In most cases, this miserable pain is thought to be tension-style headache that might result from stress, muscular issues or other causes. However, in some patients, the cause of these recurrent or chronic headaches might be an upper cervical pathology. The highest vertebral levels have been linked to many instances of tension headache syndromes. Herniated discs, vertebral misalignments, osteoarthritic processes and other structural irregularities can affect sensitive neurological tissue and cause a wide range of possible consequences, including head pain in the rear of the skull. Most patients who demonstrate cervically-induced headache will experience symptoms at the occipital juncture of the neck or even down into the neck, as well as in the back of the head and possibly in other locations, such as behind one eye or behind one ear. Statistically, these tension headaches are often unilateral, with symptoms being predominantly expressed on one side of the skull. This dissertation examines the link between upper cervical spinal abnormalities and the occurrence of rear head pain conditions. As mentioned above, cervical headaches typically are unilateral in nature, occupying the centerline of the skull and radiating outwards to one side or the other. Pain might come from a central “hotspot” or may seem to be diffused throughout a larger area. Most patients experience exacerbated symptomology when moving the head or neck and may even suffer acute escalation from highly particular positioning or postures. Obviously, these flare-up triggers should be annotated and avoided whenever possible. Many patients will experience a squeezing feeling of pressure in the skull and a burning pain that might find its way behind or below the ear or to the area directly behind the eye on one side. Cervical head pain sufferers are known to experience other symptoms of common headaches, including light and noise sensitivity, motion sensitivity, impact sensitivity and slightly blurred vision. Some patients also report sound phenomenon, such a ringing in the ears or some type of sound vibration in the skull. Head pain that is related to a cervical pathology typically entails symptoms that result due to either neurological compression directly within the spinal anatomy or neurological issues that are caused indirectly by innervation concerns to neighboring muscular tissues that might spasm and clamp down on a peripheral nerve. In the former scenario, the spinal causation might cause central cervical spinal stenosis and affect tracts of spinal cord cells that might result in headaches. Another explanation might involve the irregularity pinching a high level cervical nerve that might cause head pain through various mechanisms and interactions. In the latter scenario, the abnormality will still pinch a cervical nerve, which will in turn reduce proper signal to some muscular tissue, such as the sternocleidomastoid musculature. If this muscle spasm and constricts a nerve, tension headache and neck ache may result. As far as the actual source process that enacts any of these compressive conditions, the variety ranges from cervical herniated discs to arthritic stenotic changes to slipped vertebrae and abnormal curvatures that can affect the side-to-side or front-to-back planes of the cervical spine. Rear head pain is very common and might be caused by a diversity of known, suspected or idiopathic factors. Most doctors do not consider the role played by high cervical spinal pathologies, although this trend is changing, as more research shows a definitive relationship between these structural abnormalities and the existence of chronic or recurrent head pain in certain anatomical zones. 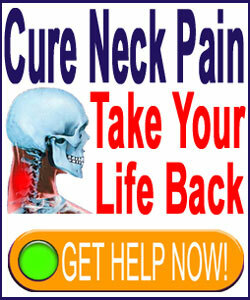 If you have been trying to find a solution to problematic tension headaches and have not found a cure, despite many attempts at treatment, it may be wise to consult with a specialist to ascertain if an upper cervical spinal concern might be a causative or contributory factor in your suffering. To learn more about the relationship between headaches and the anatomy of the upper cervical spine, talk to your neurologist or seek evaluation from a NUCCA chiropractor or headache specialist.